THE SKY IS NOT FALLING!! How to understand the new Facebook Updates and how to use them for your advantage! And, if you want seriously amazing resources that will help you to keep your business page alive, or revive it if it needs reviving… comment below with the word VALUE. We've got you covered!Big thanks to my friend Billy Funk for jumping in while I had to take my kiddo to the potty. Hahahah! There's a first for everything! And, if for some reason, this video stops at the 30 min mark – I've also uploaded it here so that you can see the whole thing. God bless both of you❤️🙏🏻 Thank you!! Thanks for including me in this. Always love your energy! Could this be a weird algorithm? I going to go live! Danielle…yes you can block specific words on your business page in the settings. Message me. Click settings at the top of your business page. Type the words you want to block, separated by commas. You’ll need to add both the singular and plural forms of the word(s) you want to block. and it’s designed to help the BEST content come through so up your game! Do either of you teach how to do a bit, and how to setup a live technologically?? How do you get engagment with no viewers while you are just learning? Facebook Business Page Make Over would be nice. I love your Mom moment! I have no idea what some of these things you are talking about or mentioning to use. You can do it Charlie!! Yes, we are good, go help him. you can “see first” up to 14 peoole? This is a great thing to do. Celebrate who you are and what makes you a human being. Molly Mahoney you are amazing! Thanks for sharing. I watched a bit and will schedule time tomorrow to listen and take notes. Thanks! Thanks! You two should co-host more often. You click! Kids have the best timing! Love It! Love your enthusiasm and energy! Thank you so much Miyo! Hi Molly Thank you for walking us through this. Bot! I really want to step up my game in this area. Thanks! Would love to know what you’re using to add your overlay on a live video! How can i check if i have a personal fb pg or a business fb pg? Hi Gloria, This is Molly’s assistant, Shanon. 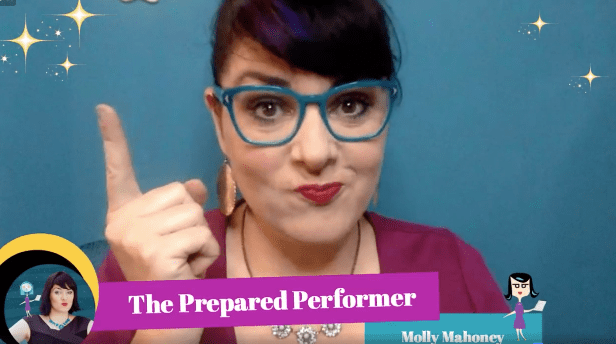 Molly can go into more detail, but if you never purposefully set up a business page, you will only have a personal page. On a business page you have the option to create a cover video, and you have “insights” that show up when you scroll down your timeline. Let us know if that helped and if not, I can have Moly step in. It’s that I don’t think fb had the option of business pages when I set up my pg. But I have another fb pg under my name and this pg under my business name but I’ve never seen a business pg before so don’t know if there are any differences. But thx for responding appreciate it. Oops. Facebook ads, and going public, we’re away to finally recoup some of that money that it cost to run Facebook. People just didn’t like Google plus maybe. Then came periscope. Then Facebook live. Amazing that every person now has an amplified voice! U can only choose 5 see firsts. “See first” is essentially what “interest list“ used to be!! Yes, I think you can block certain keywords with many chat, to avoid trolls in your comments.